Midsize family sedans are perfect for a lot of purposes, from a weekend trip to transporting your three kids to school every day. 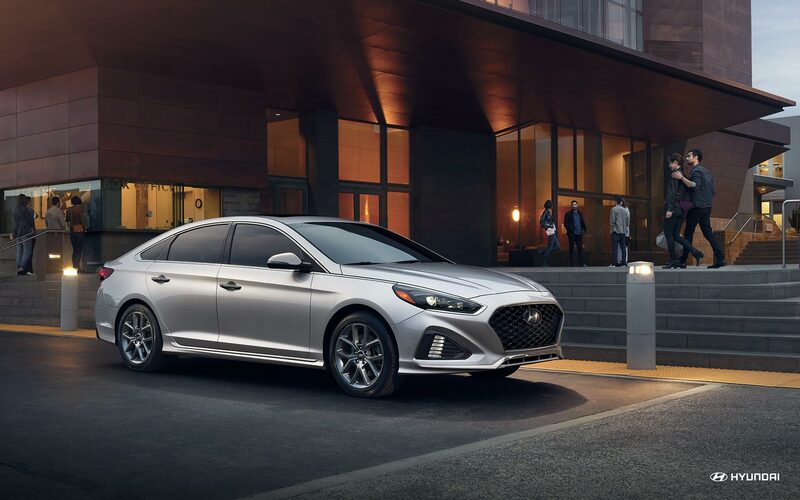 Hyundai Sonata may look like many other cars in this segment, but it steals the show with best in class safety and fuel efficiency. Despite the tough competition, the Sonata offers excellent value for money and top-notch ride quality. Even though crossover SUVs have become the family vehicle of choice for many people, it does not make midsize sedans like the 2017 Hyundai Sonata fade away one bit. For the 2017 model, the Sonata basically remains unchanged except for a few minor rearrangements, and it’s fine because the Sonata was already brilliant enough. You get a spacious and comfortable cabin with ample room for the whole family, smooth and confident ride quality with precise control that makes this compact car easy to drive, and impressive tech features even in the basic version. The 2017 Hyundai Sonata is available in Base, SE, Sport, Eco, Limited, Sports 2.0T, and Limited 2.0T trim levels. Standard features include 16-inch alloy wheels, a rear lip spoiler, cruise control, air-conditioning, full power accessories, a tilt-and-telescoping steering wheel, heated mirrors, and a split-folding seatback. Technology features have to offer Bluetooth connectivity, satellite radio, a CD player, USB port and auxiliary audio input. The cascading front grille is surrounded by a front fascia with LED headlights. Restyled taillights, trunk, and lower body panel adorn the rear. There are advanced safety features like Blind Spot Detection with Rear Cross-traffic Alert, Automatic Emergency Braking, Lane Change Assist, Dynamic Bending Light, and Lane Departure Warning in every Sonata. The interiors are classy and cozy. There’s a restyled center stack, with a leather-wrapped steering wheel, available leather seating surfaces, wide and comfortable front seats and a well-cushioned, three-across rear bench seat. Easy-to-use audio and climate controls, and power-adjustable front seats are some of the additional features. All trim levels are equipped with a 2.4L I-4 engine that offers 6,000 rpm Horsepower and 4,000 rpm Torque. The 2018 Sonata is a front-wheel drive. The Sonata also comes with a sleek Blue Link infotainment system that’s displayed on a 7-inch touchscreen standard (an 8-inch screen is optional). Apple CarPlay and Android Auto are standard, with a customizable home screen and an optional navigation system that includes Google local search. This affordable and fun family sedan may have a lot of competition, but it does stand out with superior ride quality, comfortable interiors, and top-notch tech features. Let New York Autobrokers serving the Great River and Smithtown, NY area use their 20 years of experience to get you the best lease payments or price on any car make or model of your choice. Call us at 631-446-4455 for more information!